Do we need an excuse to show off our taco game here in L.A? Not at all--this is a post I've sat on for a long time and NYC food critic Robert Sietsema's odd NYC taco challenge aimed at L.A. was just the occasion to give everyone a real idea of how deep the L.A. taco scene goes. 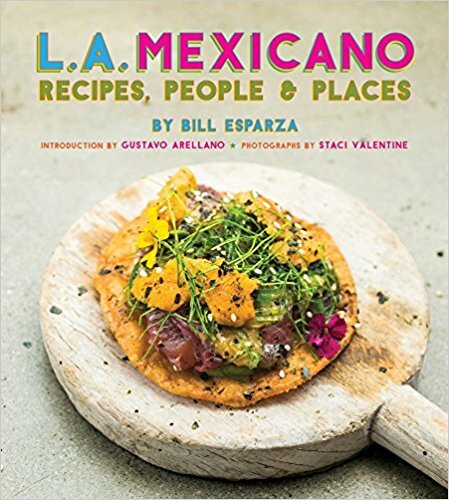 In my latest for Los Angeles Magazine's Digest, Tacopedia: A Complete Taco Encyclopedia of L.A., I reveal for the very first time a comprehensive list of the common tacos you can find in Los Angeles. We actually have more regional varieties than anywhere in Mexico at our numerous taquerias, puestos, food trucks, and carretas. Sietsema had a list with tacos that don't exist like a double tortilla taco(wtf! ), Taco Bell items, and had lots of inaccuracies in his reporting. My list includes mostly established varieties that are recognized in Mexico and a few styles that are unique to Los Angeles. Take a look at the 45 amazing tacos you can have in L.A. and let this be the final word on the subject.